A Big Thank You to Jan Wall! Home > News > A Big Thank You to Jan Wall! 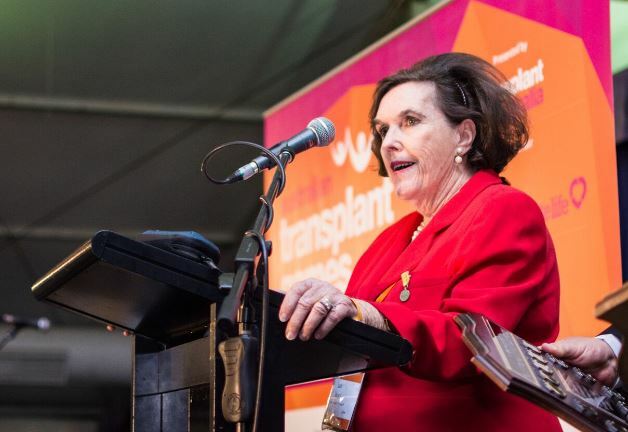 Jan Wall has informed us that, sadly, she will be stepping down from her activities with Transplant Australia after 30 years of invaluable service to its members. Jan has played many key roles in her time with us; a Director of Transplant Australia, member of the Sports Committee and deputy chair of the Transplant Australia Queensland committee. Jan was the Australian Team Manager for several World Transplant Games and was Co-chair of the 2009 World Transplant Games on the Gold Coast. The many central positions Jan filled over the years at the Australian Transplant Games have greatly assisted in the success of the Games. In 2003, Jan was made a Life Member in recognition of her outstanding service to Transplant Australia. The Jan and Daryl Wall International Shield was introduced at the 2016 Australian Transplant Games in recognition of the long-standing contribution of Jan and her husband, Dr Daryl Wall to both international and national Transplant Games. Transplant Australia truly values Jan’s involvement; her caring, personal and supportive way with members and her endless dedication to ensuring the best possible outcomes for all. Her experience and intimate knowledge have been invaluable and greatly appreciated – she will be missed by us all. Jan and Darryl Wall have been involved with Transplant Australia for 30 years.